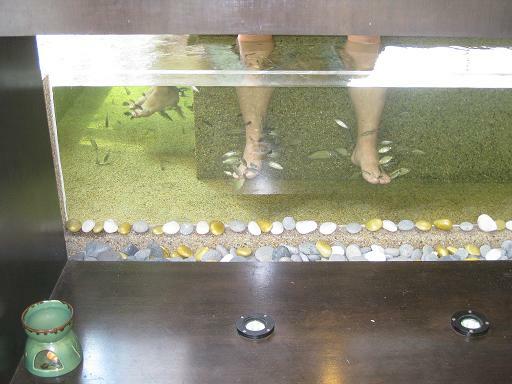 I can’t believe Kevin went to try the Fish Spa without me! 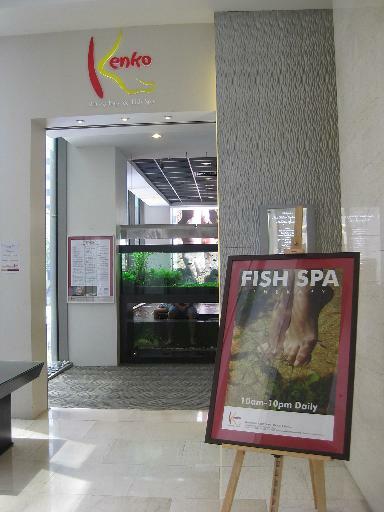 So today, considering I had only 1 full day before driving back to Ipoh for another dreary week, I dragged Kev to the Kenko’s Fish Spa at Pavillion – first time for me. NicB who was supposed to join had to send his Vios for a major service. 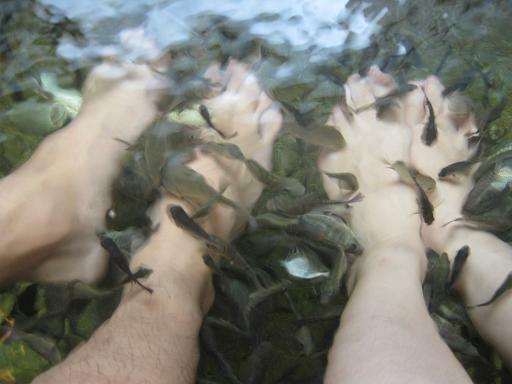 There has been much hype and publicity on these Dr Fish and fish spa for the past few months, I guess there won’t be much explanation required on what these fish spas do. So I’ll cut the story short and straight post the pictures (if u have never heard of it, just google la!). Because mama said that there maybe a line, we decided to be kiasu and arrive at the spa at 12 sharp. Ok, so some people were already there! On your mark, get set, dip your foot in! Fuiyoh! 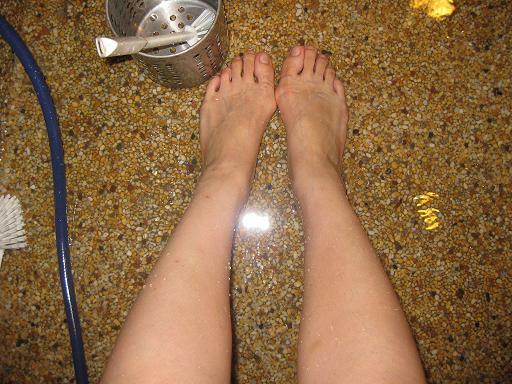 After 1/2 hour and RM 38 bucks well spent, look at my foot – minus the dead skin. Can’t believe I had so much more fish biting me compared to Kev or the other lady beside me.